Meet SHIHOSHI Mom & Girl at Playtime Tokyo 2019 ! We are so excited to present our new Mom & Girl collection at Playtime Tokyo on 4th-6th of February 2019. It is going to be super fun, and we are so ready for it! Retailers, the press and friends are all invited. We would love to meet you there. 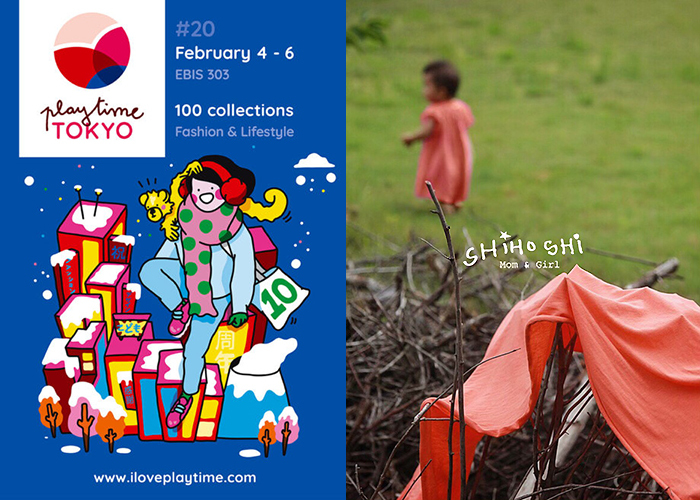 Playtime Tokyo is the international children's & maternity trade show. It is the premium children's fashion show and an opportunity for every professional and retailer of the industry. National and international brand exhibitors can show the brand new collections and trends for the coming season. It's a must-see event where the professionals of the sector can meet each other: creators, buyers, bloggers, journalists and artists. For more information about the trade show, please visit https://www.iloveplaytime.com/tokyo.